Deya wiped his brow. It had been a long night, and there was a lot of work ahead of him. The guards of the town and the soldiers that had traveled with the princess had placed orders from his master – the local blacksmith – for replacements for the weapons that had been broken in the attack. They also sought extra weapons, just in case. Not wanting to take any more chances, especially with a member of the Royal Family in their midst, the residents of Ordon Village were increasing their security, too. Smirking, Deya thought of what his master had said to him a few hours ago. “While this may be good for business,” the blacksmith said, “never forget, my boy: peace is what all true smiths strive for!” Though Deya had only been working as an apprentice under the blacksmith in Ordon for a few months now, he already had high respect for the man and the other residents of the normally quiet village. Wait, he thought, those explosions were pretty close to the smithy, and – His eyes widened in panic. He rushed outside around the back of the smithy, to a pile of stacked ore. He rapidly began moving several aside as the blacksmith walked out and caught Deya in the act. Deya nodded before turning and walking back inside the smithy. He set the box with the electrical charges off to the side. Inside the front entrance, a figure with blond hair was leaning against the wall, looking around, waiting to be tended to. “Hello, how can I be of assistance?” Deya asked. Link breathed a sigh of relief. “That’s good to hear.” Crossing his arms and standing firm against the wall, he seemed uneasy. Deya knew Link had been present last night. He had seen for himself as the young guard hovered over and protected the princess. He also knew that the event later that day could end up being one of the most important events of Link’s life. He was in position to potentially become the princess’s own appointed knight, after all. Link opened his mouth before pausing. “A little bit of everything, actually. It’s one thing to have another milestone toward becoming a knight, but another thing entirely when it involves being so close to the Royal Family. And last night…” He trailed off. Link paused once again, then nodded, losing himself in thought. Deya turned and walked back to where Link’s new sword was resting after cooling. Carefully lifting it, he returned to where Link stood, taking a few deep breaths to calm himself while waiting. Suddenly, passing off his work to someone else had become somewhat unnerving. Deya turned and began to head back towards his electrical charges. I’d like to be able to watch the knighting ceremony. Perhaps my master will let me take a little bit of time off to see how things go. As he picked up the box that contained the charges, he began to think about how else they could be used. I’ve heard rumors that there used to be electric arrows. Perhaps someday I can find some. Examining them might help me figure out how to construct the new types of weaponry I have in mind. A certain sense of clarity could be found by listening to one’s own thoughts, then considering them as an outsider. Zelda knew what Impa would say if her advisor found her like this, sitting on the bed after bathing, wrapped in a robe, head buried in her arms: “Riding that self-pity horse again, Little Princess?” The Sheikah’s alto tones resonated in her mind…amidst flames and shadows and mortal fear. She pulled her knees closer, hugging them until her arms hurt. Memories of the night before flashed in her eyes every time she closed them like the fire that ate her carriage alive, without mercy, nearly claiming her handmaiden’s life with her own. And Marianna was only here for me. I asked her to come. “But what good is this doing you now?” Impa’s voice rang clear. She looked at her torn palms. Large cuts so deep, they were nearly black, lined the creases, and her skin now sported blisters that made flexing her fingers difficult and painful. Beneath the robe, bruises spoke reason to her slow, purposeful movements. Yet, she knew she was lucky. Marianna…was barely alive. Her handmaiden, younger than she, so delicate, so attentive to her lady’s every need, suffered far worse. 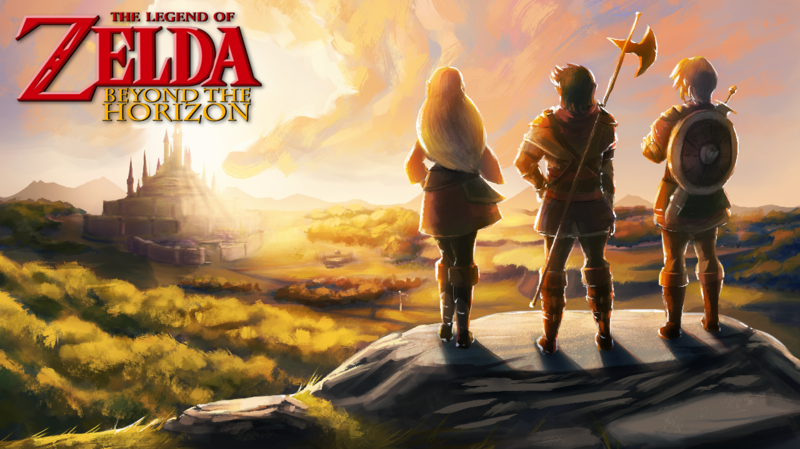 Zelda had sent her back to the castle the moment the Ordon doctor had completed all he could do. Compared to Marianna, her injuries were nothing. And this wasn’t your fault. The circle completed once more. Zelda smashed her fists against her thighs in aggravation. It hurt like crazy. “I knew you would say that,” Zelda said, not lifting her head. She felt the bed settle at her feet as Impa sat down. “Actually…” the princess began, glancing at the end of the bed. She had lost her ceremonial clothing in the fire, and her dress from the night before had needed repairs to fix several burns in the hem, so she had requested to borrow clothing from the mayor’s daughter. Luckily, the two of them were the same size. Also, to Zelda’s private amusement, the rules of a mayor’s daughter were quite relaxed compared to the expectations of nobility. Next to a thigh-length, rust-colored skirt sat a pair of brown leggings, waiting to be worn. Impa ran her hand down her face. “So, you get to be spared the stocks,” Zelda said, feigning disappointment. She nodded, slowly at first, then a little surer of herself. Yes, the banter the two of them shared typically served to make her feel better in her darkest moods. Impa helped calm her woes and slow her racing thoughts. With conversation, Zelda could think rationally. She hated relying on someone else, but sometimes, need abounded, and she was forced to allow someone else in. Zelda gave a small smile, then reluctantly set off to finish getting ready. The ceremony would soon begin, and she had to see it through.